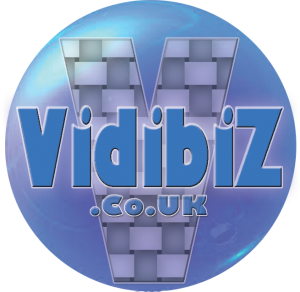 Vidibiz own a full range of industry leading equipment to ensure that the best image is obtained when it is needed, cameras, tripods, lights, cranes and tracking dollies are all part of the kit. 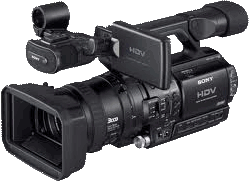 In addition to the high i quality sound captured by our cameras we have Fostex onsite / location Audio recording equipment – FR-2LE Field Memory Recorder and the Fostex MR-8 HD/CD with a small Edirl R-09 Digital Recorder, when used with our 12 channel Mackie sound mixing desk we can provide adequate facilities to record all audio at any event. We have a Sennheiser K6 Microphone and Rode NTG2 Rifle Mic. In addition we have sennheiser and Sony wireless radio mic systems. Backed up with a shed full of Lighting towers and equipment, over 50 metres of Dolly track for our cameras, A crane for high level camera work, various camera tripods for high and low level work. Yards and yards or cables, wires, leads, boom poles, blimps, radios etc. etc. etc. ………………………. If we don’t own it we can either borrow or hire it as necessary!!! Our in house video editing is done using Avid Studio, Pinnacle, Adobe Premiere or Sony Movie Studio we use the Adobe CS3 Creative Studio package for all other digital editing.